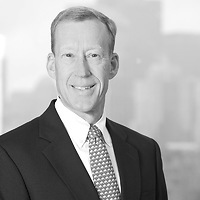 Paul Eklund, a partner in the firm’s Real Estate Fund practice, published “Raising a Real Estate Fund in a Down Economy” in the Winter 2009 issue of The Real Estate Finance Journal. The article discusses what developers can do to better position themselves to successfully raise and manage a real estate fund during a down economy. Paul suggests developers promote the past performance of the management team, understand the fund terms and perform due diligence on existing real estate fund terms, and find the right investors. He also discusses whether a fund is the best option for certain developers or if alternatives such as a joint venture are a better solution.